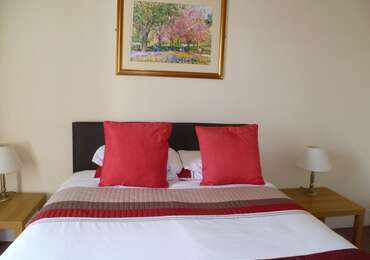 St. Andrews is a family run guest house with a range of well appointed en suite rooms providing comfortable accommodation at a competitive price. Situated between Ayr Town Centre and Prestwick we are ideally located for Prestwick Airport ,Ayr Racecourse, Northfield Bowling Centre and the many golf courses in the area. Newton on Ayr train station is just around the corner providing a direct rail link to Ayr ,Prestwick and Glasgow. There is also a direct bus link and busese stop just outside the carpark. large double room on upper floorat the front of the property with ensuite shower room. 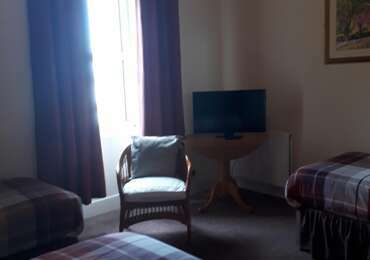 this room is offered at a non refundable rate giving 10% discount but the total amount ofstay is taken at time of booking. 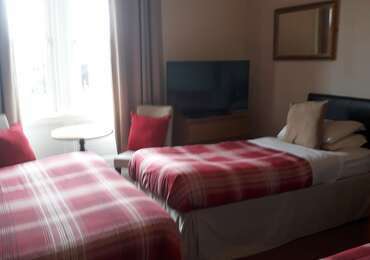 triple en suite room on the upper floorsituated to the rear of the building .This room is offered on a non refundable rate giving 10% discountbut the total amount of the stay is taken at the time of the booking.